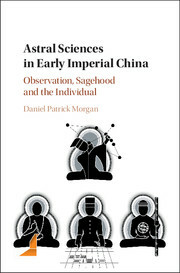 As an answer to monolithic modern narratives about ‘Chinese thought’ and ‘Chinese science’, this book examines the astral sciences (tianwen and li) of the early imperial period (circa 221 BCE – 800 CE) as a study in the fundamental disunities of Chinese scientific cultures and the narratives by which ancients and moderns alike have fought to instil them with a sense of unity. The book focuses on four such unifying narratives, or ‘legends’, as recounted by early imperial subjects : the first two, smacking of antiquity, are the ‘observing of signs’ and ‘granting of seasons’ by sage kings of the ancient past ; the other two, smacking of modernity, involve the pursuit of ‘tightness’ (accuracy) and historical ‘accumulation’ (progress) to this end. Juxtaposing the neat idealism of legend with the messy realities of practice that it obscures, the author aims to reveal how such narratives were told, imagined, reimagined, and negotiated over time and in response to evolving tensions. Whether or not ‘empiricism’ and ‘progress’ are real, the author argues that we must consider the real effects of these and similar legends as believed in and acted upon in the history of astronomy in China.